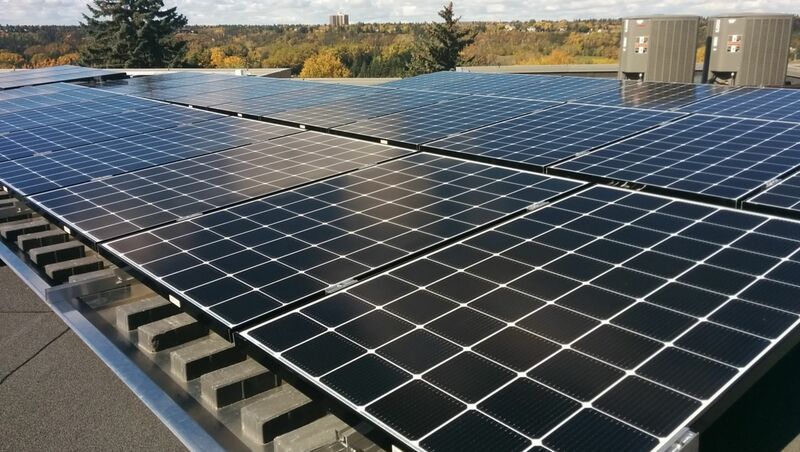 For residential, commercial and municipal solar projects, roof-top solar often provides the lowest cost per watt of installed capacity. 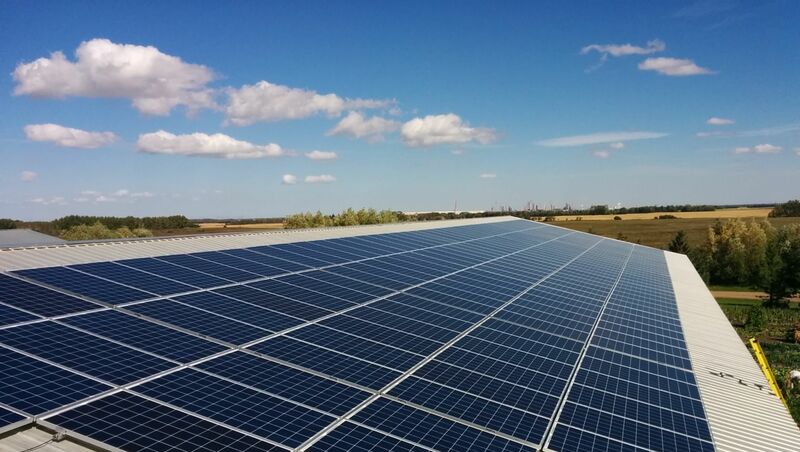 Roof-top solar installations are also considerably faster than ground-mounted, as no geotechnical soil investigation is required, while structural engineering is in most cases is straightforward. 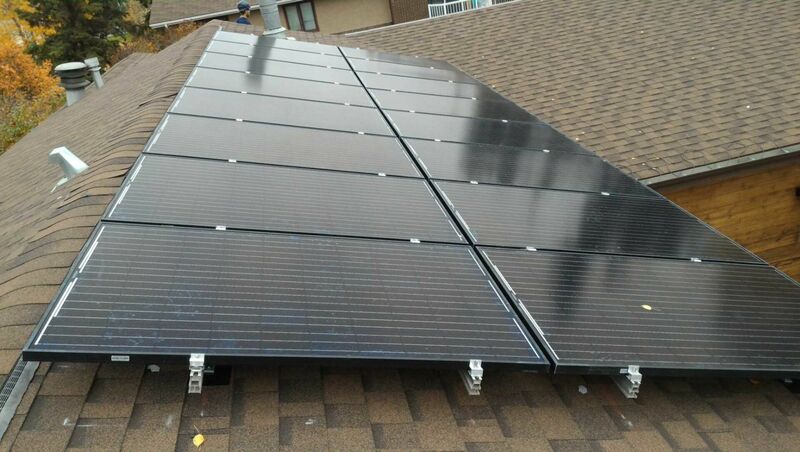 The speed of installation makes roof-top ideal for small-scale projects. An area of the available roof-space with good solar exposure. 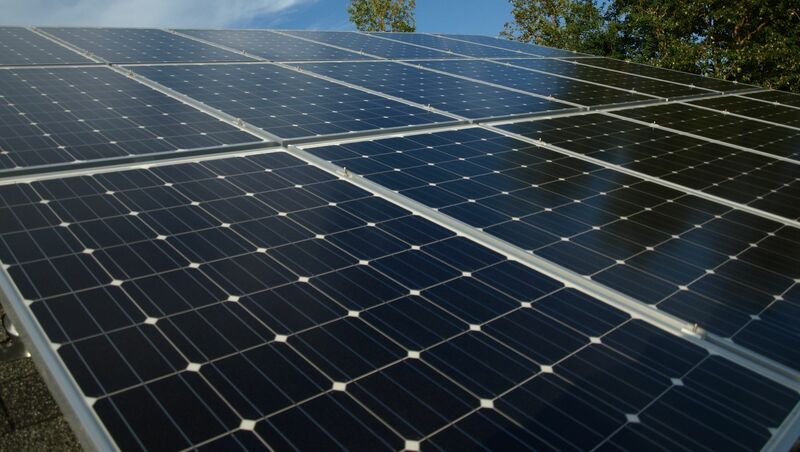 For example, an average residential solar PV system with 18 x 60-cell solar modules requires 30 square meters of the roof space. Ampere ratings of the main breaker and rating of the solar panel busbar where the solar will feed. 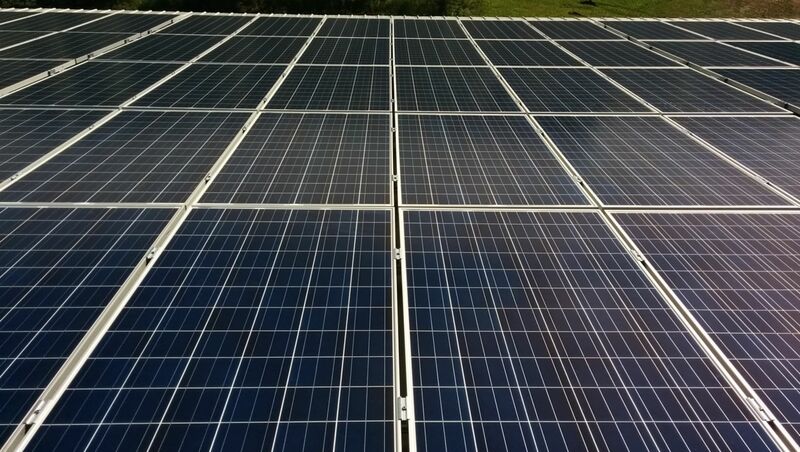 For example, a typical for small-scale residential solar system 125Amp rated bus with 100A main breaker would allow to connect 13.5KW of AC inverter capacity. Transformer capacity. The combined AC capacity of all inverters cannot exceed the rated transformer capacity. 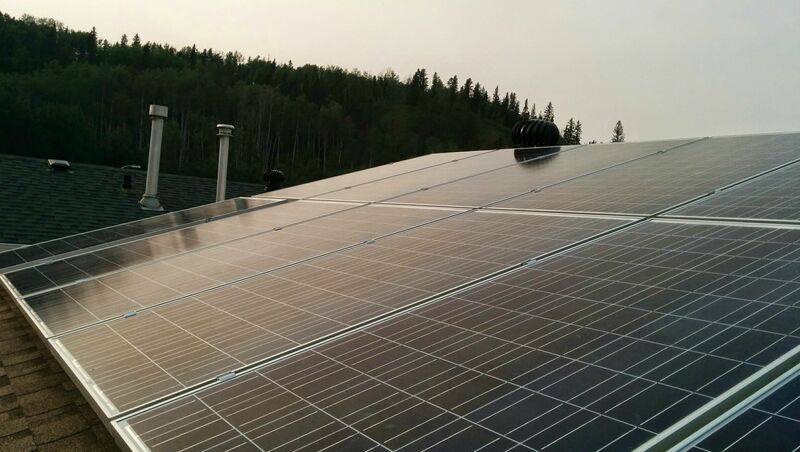 Historical power consumption for Net-metering in SK, micro-generation systems in AB and Net-metering for systems in Fortis BC. 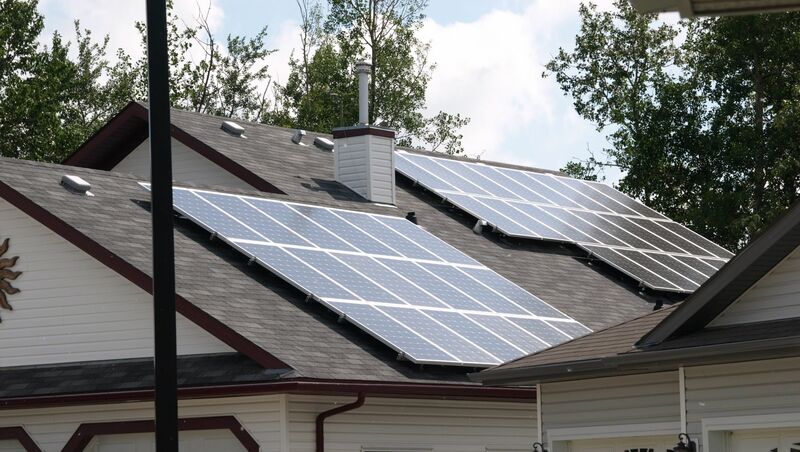 The intent of the most net-metering programs is to allow customers to offset their historical power consumption. 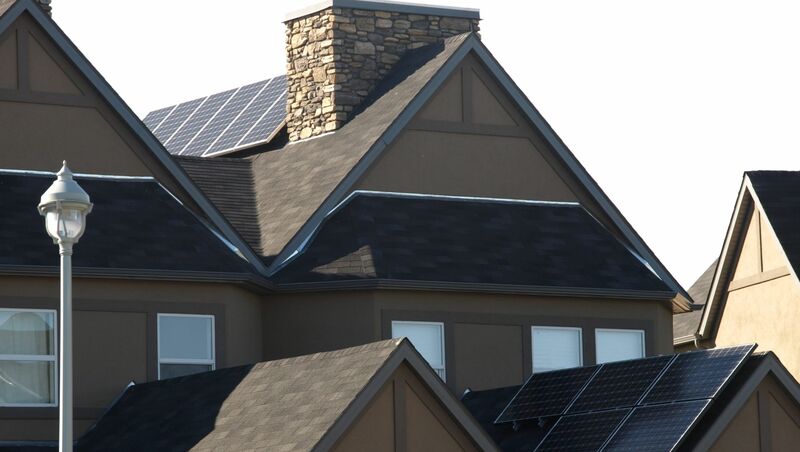 When budgeting for the roof-top solar systems operations and maintenance, take into account the age of the roof. 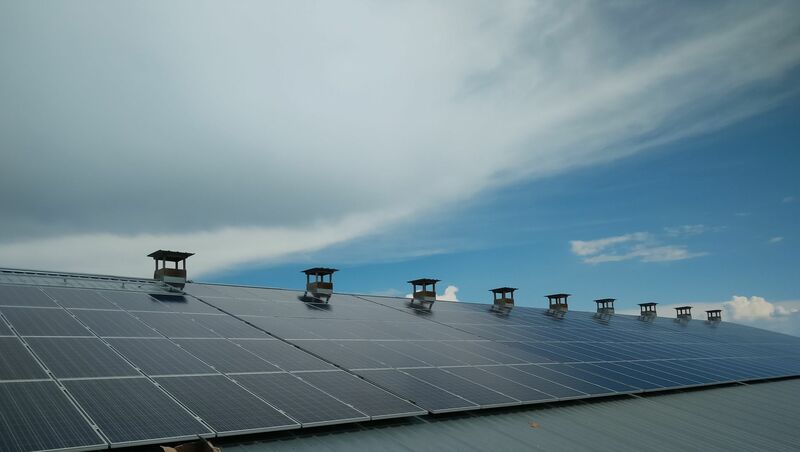 Additional expenses required for dis-mounting of the solar array during roof repair or replacement may overweight the economical benefits for the roof-top solar PV installation. 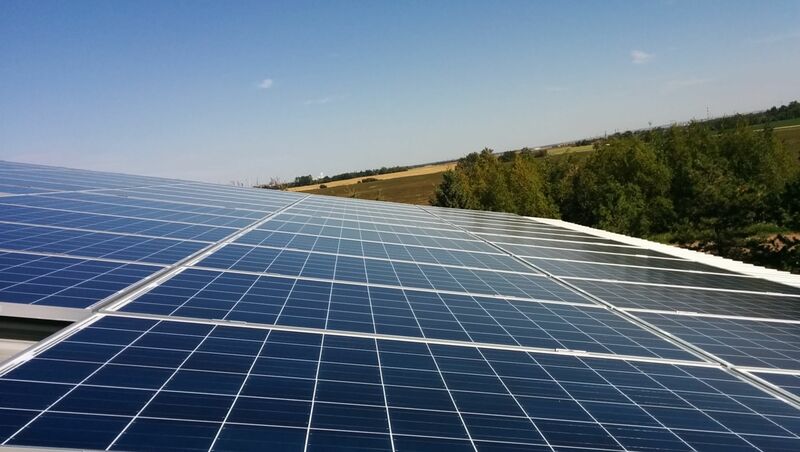 Also, the building economic life has to be long enough for the solar to pay-off. 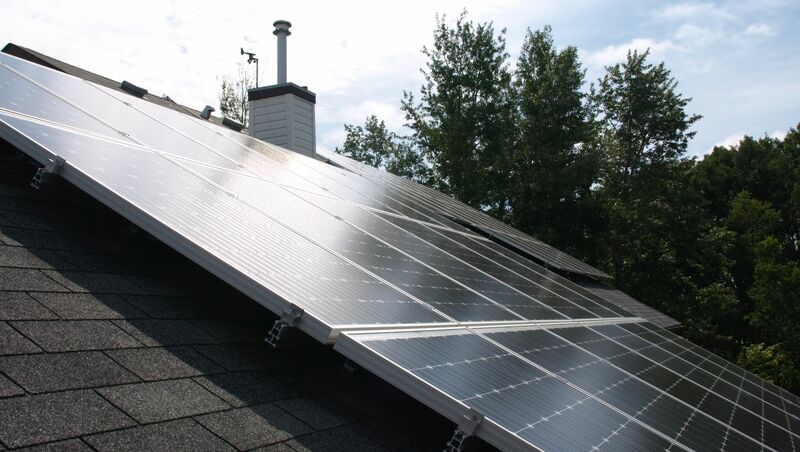 Roof-top solar systems vary by the type of racking used to attach solar array to a structure. 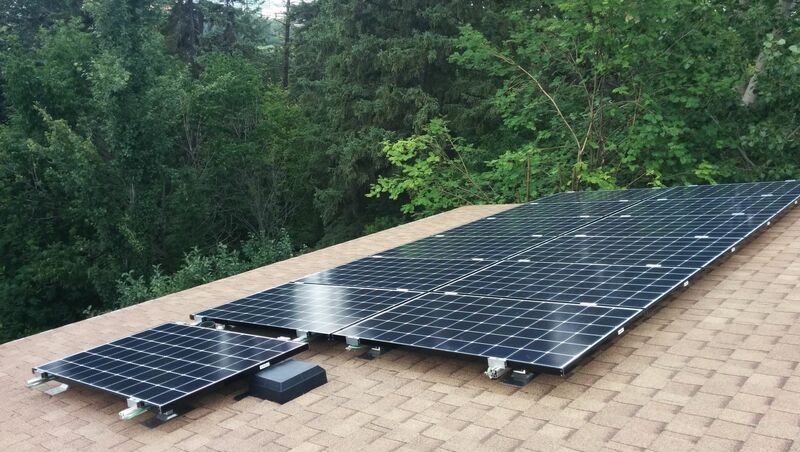 Pitched solar systems have stand-offs screwed through the roof, typically into the rafters, or stand-offs are attached to the metal roof ribs. 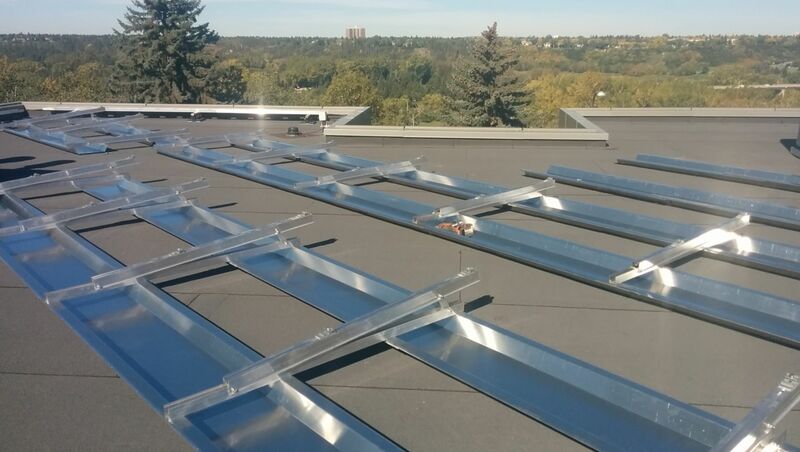 Ballasted racking systems are installed on flat roofs or roofs with less than 5 degrees tilt. 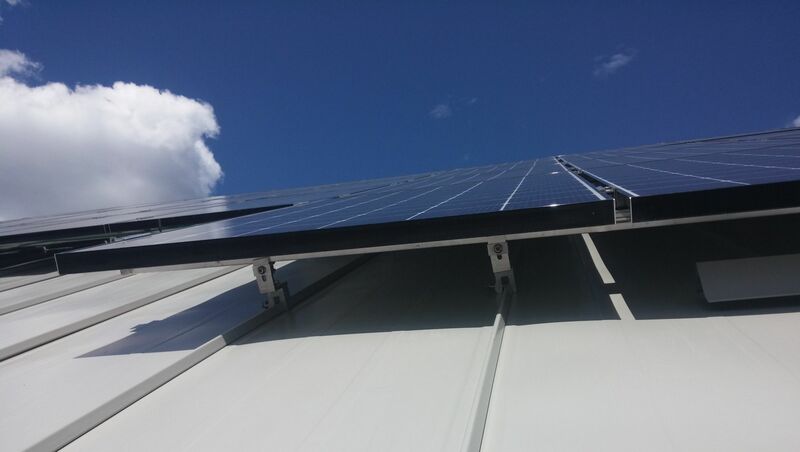 The racking helps to tilt modules towards the sun and concrete ballasts are used to hold the racking in place. 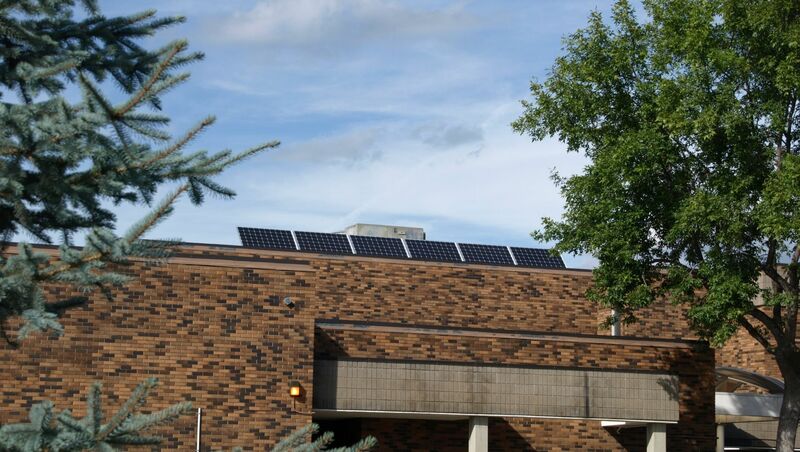 Often, ballasted roof-top solar systems do not require roof penetrations. Wall-mounted awning systems provide the benefit of an easy installation combined with steeper and optimal array tilts.